​Jason has been working, guiding and teaching outdoor pursuits and hunting since 1999. ​From Guiding canoe trips and teaching outdoor education in Algonquin Park to Big Game Hunting and guiding in Alberta, Jason's passion and excitement for the outdoors and hunting is obvious to anyone who speaks to him about it. ​More than that, is his love for teaching and mentoring, which is why "Hunt Ready" has been developed. ​Jason has hand picked, what he feels are some of the best names in the business to work along side him, and deliver to you, the most current and useful hunting and outdoor pursuits programs available today. Owner of Wapiti River Outdoors Game Calls, and professional Elk caller, Travis has been making his line of Elk calls and taking the calling world by storm. ​In 2015 Travis placed 3rd on the world stage competing in Las Vegas at the World Elk Calling Championships. ​Travis is driven by the pursuit of getting as close to elk as humanly possible. 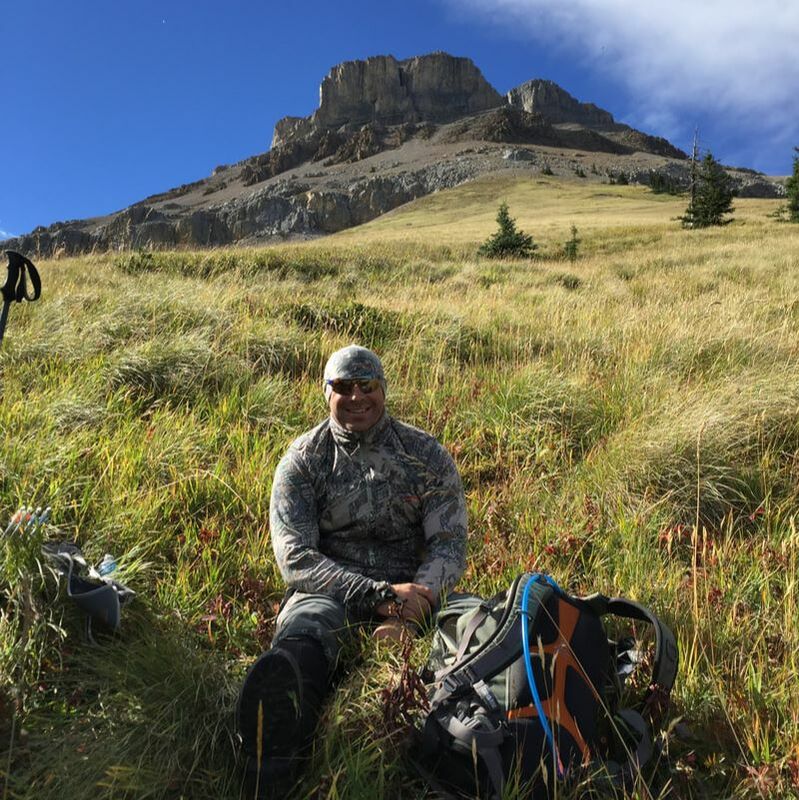 Travis has been bow hunting and perfecting the art of talking to elk since he was 15 years old and made his first call in 2013. ​In the same year he opened Wapiti River Outdoors. Travis has spent most of his life studying elk habits and habitat and sharing his love of elk calling throughout Alberta and British Columbia. Christy and John work to educated people, and help to reduce conflicts by increasing knowledge and confidence regarding Bear safety. ​Christy is President, field supervisor and coordinator for the Crowsnest Pass Bear Smart Association. ​Born and raised in Alberta at a young age he was captivated by hunting, fishing and the outdoors. He began by accompanying his father who bestowed this amazing past time of his, not knowing that it would forever become a part of his life. The journey began by hunting, skinning, and caping animals in his teens. He then got involved in guiding, furthered his knowledge on handling a trophy cape, and came to realize the importance of proper hide care and preparation. He completed a taxidermy course at the Montana School Of Taxidermy in 2013. The scope encompassed big game, birds, fish, and an advanced habitat course, where he found out he was obsessed. A very experienced taxidermist, Jim Boland took him under his wing, and shortly after he became an employee where he is proud to be working still. Bree grew up outside learning respect for the outdoors from her Dad and Grandpa, who were both big time hunters. At about 16 years old she became crazy about hunting all types of big game from white tail, mule deer, black bear and coyote to waterfowl. She has been lucky to harvest many well respected animals. Cochrane is her home, with Nathan, and they were married on her parents' farm. Over the last few years she has been privileged to be part of the Cabela's Pro Staff, and signed on by Bear Archery, Trophy Ridge, Girls With Guns Clothing, and MTN OPS.